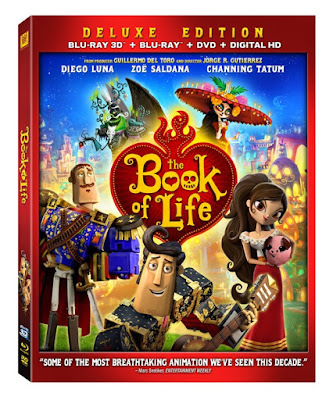 BOOK OF LIFE Blu-ray™ brings culture and comedy into your home with unforgettable special features for parents and kids alike. 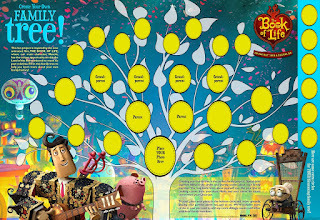 Continue the fun with an all-new bonus short “The Adventures of Chuy”, highlighting the film’s lovable scene-stealing pet pig. 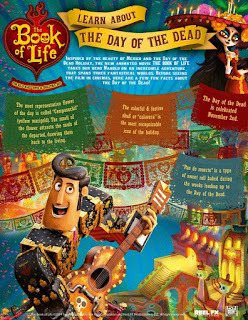 Additionally, relive the musical hits from the film with the "Music Machine" featuring Latin-inspired versions of popular songs by Mumford & Sons, Radiohead, Elvis Presley, Rod Steward and more! 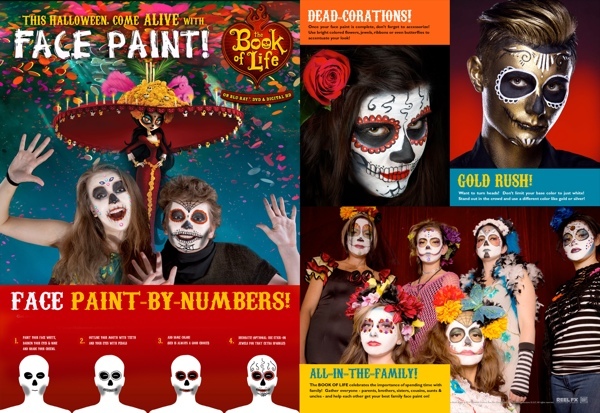 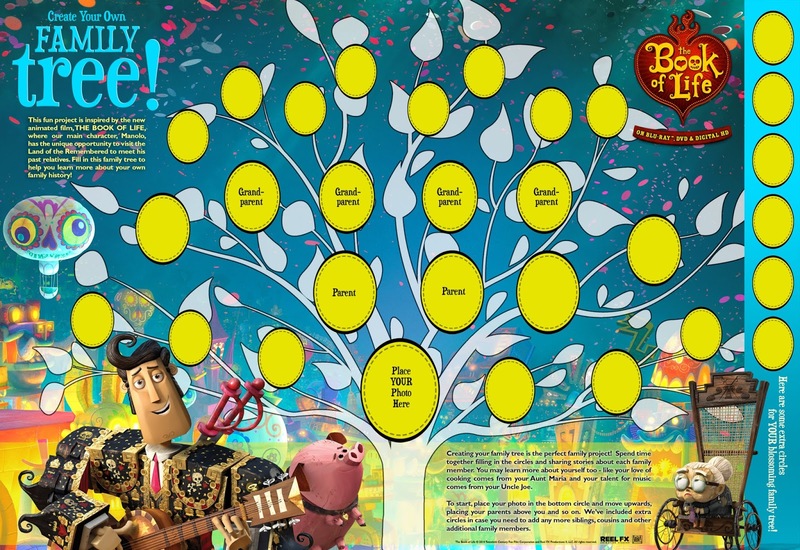 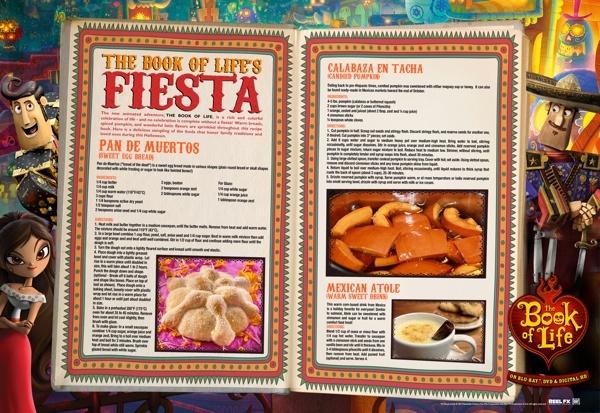 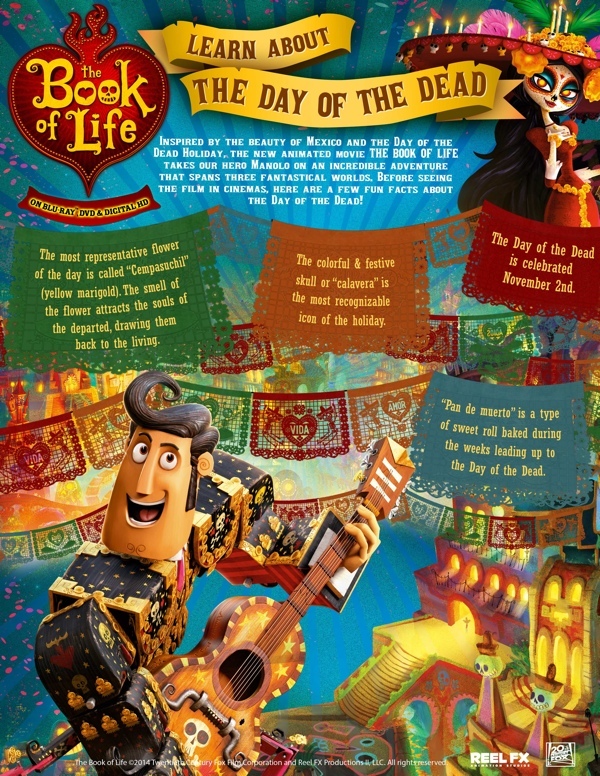 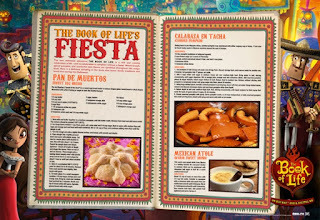 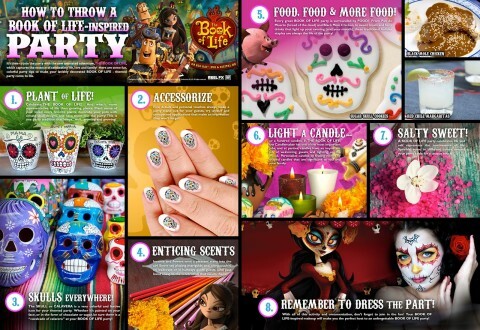 Here are some free activities inspired by The Book of Life that you can print in celebration of the holiday!